You Are Here: Home > What’s Your Car Or Truck Worth In Morton Grove, IL? What’s Your Car Or Truck Worth In Morton Grove, IL? 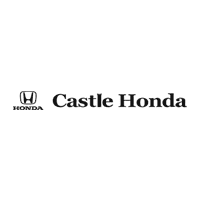 Castle Honda serving Morton Grove, IL is the perfect place if you are thinking to buy a new Honda Car. We have a wide range of new Honda Cars, Hatchbacks, SUVs and Trucks. You can buy your desired car in any of its trims through a one time payment or car financing. Apart from this, you will be excited to know that we have a considerable plan for reducing the cost of your new car. If you are thinking to save some bucks why not trade your previous vehicle with a new one? Castle Honda in Morton Grove, IL is willing to pay you the price of your existing vehicle and this will curtail the cost of your new car. After submitting application online for value your trade, our customer service representatives will contact you within 24-48 working hours. If you wish to switch your old car with a brand new one then Value Your Trade is the best option that you can avail with us without any trouble. To know the worth of your trade in value, contact our experts now. Our sales and service experts will offer you the highest possible price of your existing vehicle and you will be happy and satisfied to take the opportunity of your used trade in to get hands on brand new car. By submitting this form you agree to be contacted by a Castle Honda staff member.